It was a very enjoyable afternoon when Marilyn and I visited The National Gallery in Trafalgar Square recently for an exhibition of collected works by Pablo Picasso. 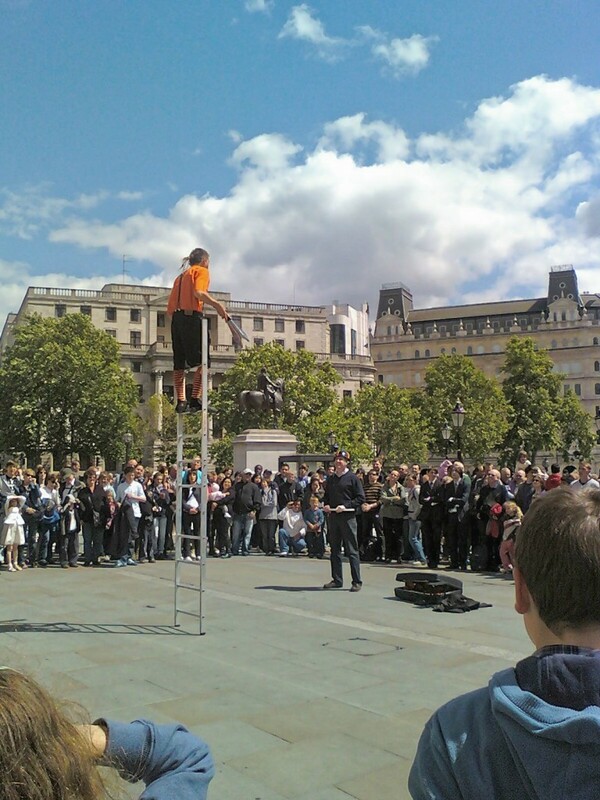 ‘Street Entertainers’ kept the visitors entertained outside in the late Spring sunshine – this particular chap was a French balancing act! This entry was posted in Patrick's Words and tagged Pablo Picasso, street entertainers. Bookmark the permalink.